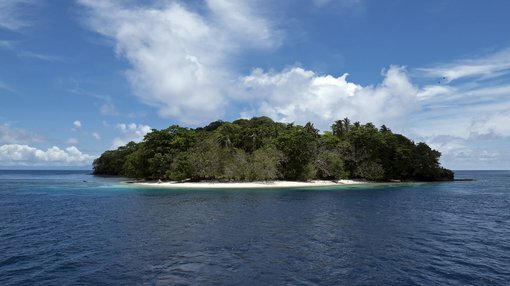 Metminco Limited (ASX:MNC) has announced it has entered into a binding term sheet to acquire 100% of the issued capital of Sunshine Metals Ltd which holds 80% of the Jejevo Nickel Project on Santa Isabel Island in the Solomon Islands, as well as an 80% interest in an early stage bauxite prospect — the Tausere Project — located on the southern coastline of Choiseul Island, situated at the northwest extent of the Solomon Islands. The Jejevo Nickel Project is based on a nickel laterite deposit which was previously held by Inco and Sumitomo and the subject of considerable drilling and studies. The Project combines attractive nickel grades, with close proximity (~11 km) to a site believed suitable for barge exports and is potentially suitable for a low capital direct shipping operation (DSO) development. MNC proposes to acquire all existing share capital in Sunshine Minerals and complete an accompanying capital raising to advance MNC’s existing Quinchia Gold Project in Colombia and the Jejevo Project. Given the company’s existing Quinchia Gold Project in Colombia, the Sunshine Minerals acquisition would result in MNC having dual advanced exploration projects in gold and nickel, while being well positioned to benefit from any upswing in metal pricing. The acquisition will provide MNC with a project it can rapidly advance and provides exposure to nickel prices in a period when demand growth is expected to be driven by, in particular, the growing market for batteries to support increasing electric vehicle production. Executive Chairperson Kevin Wilson commented: “The acquisition of the Jejevo Nickel Project, gives Metminco exposure to nickel at a time when rising battery manufacture is expected to accelerate demand for the metal. 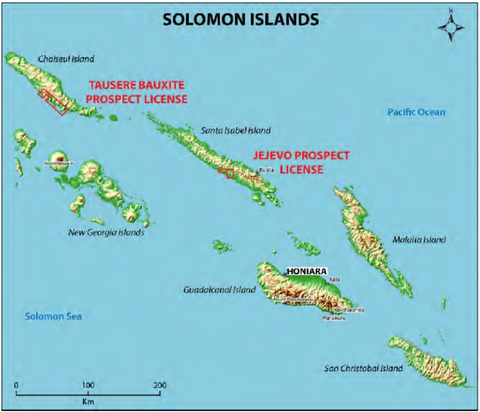 Sunshine Minerals’ Solomon Islands projects. The company will conduct due diligence at Sunshine Minerals’ projects, while it also aims to complete a capital raising up to $3 million. Of course MNC still has a lot of work to do here, so investors should seek professional financial advice if considering this stock for their portfolio. Strategic acquisition of a potential direct shipping (DSO) nickel laterite project, the Jejevo Nickel Project, with near-term development potential in close proximity to numerous international markets. The project provides the opportunity to rapidly add value on previous historical data which includes 472 diamond drill holes. A summary of previous diamond drill holes at the project. Previous exploration led to an Exploration Target being generated of between 10Mt and 15Mt, at between 1.1% and 1.3% nickel within limonite, transition and saprolite zones. Given the growing demand for quality bauxite proximal to China, Tausere could have potential for future development into a large-scale bauxite project. MNC’s near term plan is to progress Jejevo and its existing gold assets towards production. (c) 500,000,000 MNC Shares upon the receipt of a mining license over the Jejevo Nickel Project located in the Santa Isabel Province, Solomon Islands. MNC has agreed to pay Sunshine Minerals a non-refundable deposit of $50,000. The Deposit funds are to be used to pay part of the landowner access fees for the Jejevo Project. To fund its new nickel-bauxite ambitions via the proposed acquisition of Sunshine Minerals, MNC is seeking to raise $3 million, with Patersons Securities Limited as lead manager to the placement. MNC intends that the Placement funds will be settled on Tuesday 25 September 2018.